The City of Tucson and Pima County offer down payment assistance to homebuyers across Pima County. Community Investment Corporation (CIC) is the program administrator and provides the down payment assistance. If you are interested in applying for the HOME program, please contact one of the approved counseling agencies listed below. If you are eligible for assistance, the counseling agency will request down payment assistance from CIC on your behalf. 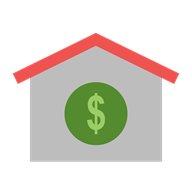 HOME down payment assistance may be combined with a Mortgage Credit Certificate and the Pima Tucson Homebuyers Solution down payment assistance program.